An umbrella-stand made by casting concrete around Wellington boots. 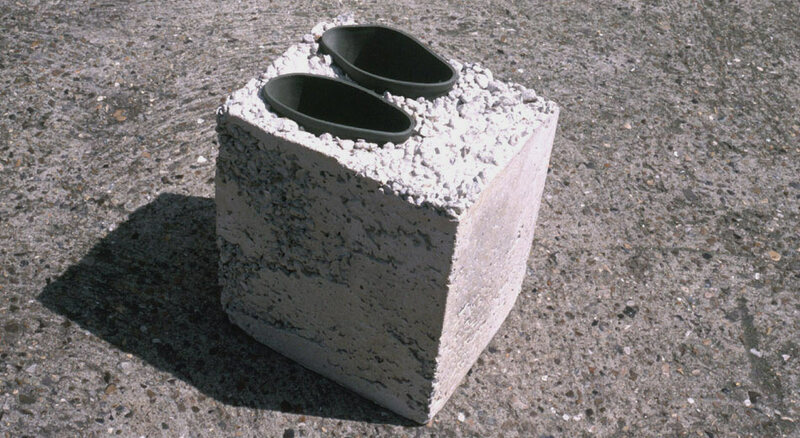 Is there actually any evidence of gangsters giving a victim concrete boots, or is it a universally known filmic myth? The original prototype for this product is somewhere in the Thames, near Waterloo bridge. It was made in 2000.